Our sponsor and friends at @Expensify took over the chat, providing questions focused on starting your accounting business. Natalie manned the @Expensify handle and as you’ll see, it was an inspiring, helpful, and lively chat. Q1: How did you find your first client? 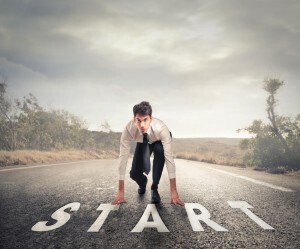 Getting that first client is so important, it helps set the foundation for your business and it’s a great confidence booster. There are numerous ways to find clients: networking, previous co-workers and employers, former classmates, word of mouth, getting involved in the local community, by being a QBO ProAdvisor, and the list goes on. Optimizing your company’s website by integrating SEO can help as can social media, especially LinkedIn. @ChristineGalli: Leave a great legacy and the accountant will refer you without even meeting you! Q2: What are some of your favorite ways to continue growing your profession? Join local chapters of niche associations. @QBOchat: All of these points show all the different aspects that we need to work on to grow our businesses -training, sales, operations, etc. Q3: How does word of mouth grow your business? @BrightBooks: I work with CPA’s that do not use QuickBooks. This is the best referral source because their client already wants to hire you. @Kimtuitive: True story on “Word of Mouth”: talked my dental hygienist into moving to #QBO for the church her husband is the treasure for! Q4: Share an amazing client experience. What made it so remarkable? @BrightBooks: I like when clients tell you how much easier you make their lives. It is rewarding. @goshenbkc: Moving my church client to @QuickBooks after they lost half of their data with an outdated church management system. Q5: Do you belong to any organizations that provide support/inspiration to keep growing? Thanks again to our sponsor and friends at @Expensify for providing great questions for the chat on starting your accounting business. 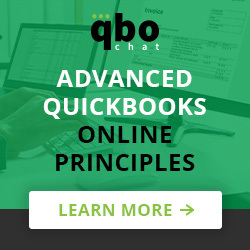 Don’t forget to sign-up for our newsletter to get the most up-to-date news on #QuickBooks and #QBOchat.